By Victoria Ivey in Mobile. Updated on August 3, 2018 . The lock screen is both an essential and redundant feature of the smartphone. On one hand it is essential to keep yourself from accidentally calling someone or launching an app, and helps prevent unauthorized access to your phone. On the other, the lock screen is an extra (yet frustrating) thing you need to bypass to get to the apps you need. Android users are probably aware of the level of customization that is possible with an Android device, and of course, you can also turn that boring lock screen into something useful. 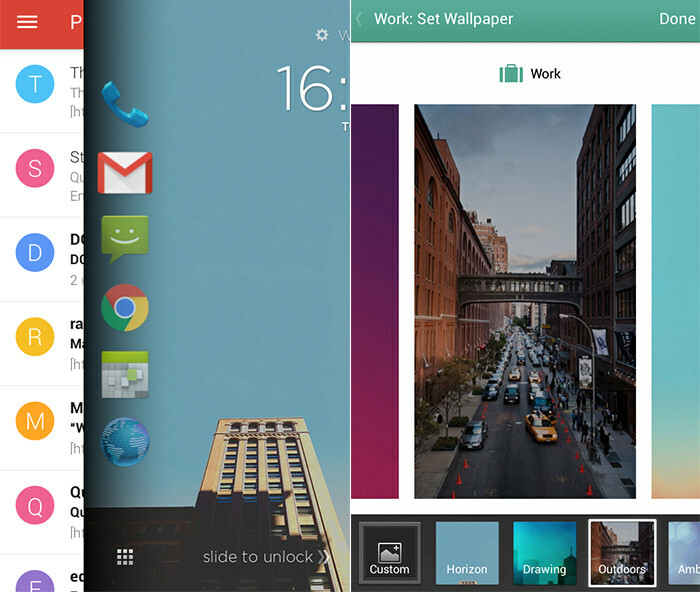 In this post we will look at 5 apps that can help 5 different types of users do more with their Android lock screens, and it’s no longer just about getting notifications. Ever wish for your phone to know in advance which apps you use most often when you are at work or at home? Then, this is the app for you. Cover is a smart adaptable app that learns what apps you mostly use at home, at work or in the car. It then brings these most-used apps to your lock screen at the right time and place for instance during office hours when you are at your office. During the installation, Cover asks for your home and work address, and whenever you move from one place to another, it changes the set of apps available right on your lock screen. To access the apps you need, simply pull its icon to the right; the screen underneath will “uncover” the app as if it was open all along. You can customize the way your work / home / in-car lock screens look like by choosing a wallpaper from the preset list or by uploading your own image. Further customization options allow the setting of ringer preferences for different locations, for example, to be on Vibrate only for work, to have the ringer on for home and in-car, and silent mode at night (which can be done when you set the time your night starts). The app is free. Corgi is an app for those who can’t live an hour without consuming a tasty portion of up-to-date information. The app brings news right to your lock screen, so you can swipe through the headlines and read complete articles even before you unlock your screen. 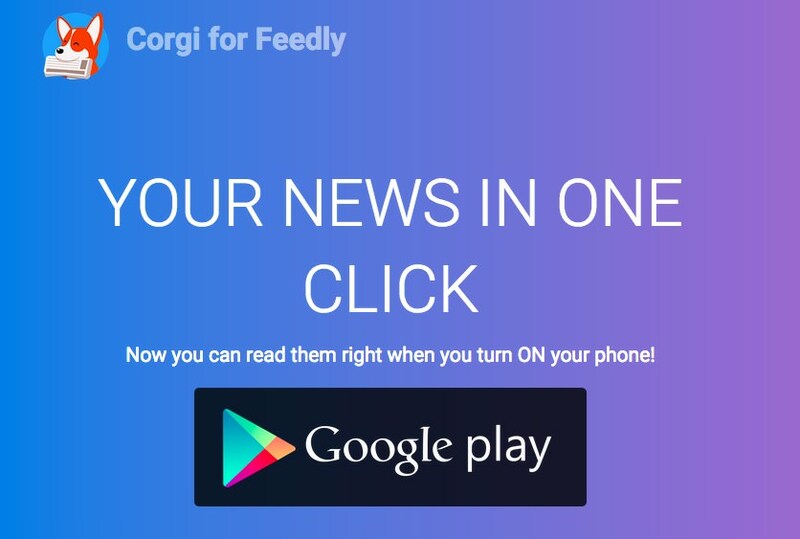 Corgi works in conjunction with the Feedly news reader so if you are a Feedly subscriber, your existing subscriptions will become available on your lock screen. Otherwise, you can choose your favourite websites from Corgi’s list and receive their news directly on your lock screen. 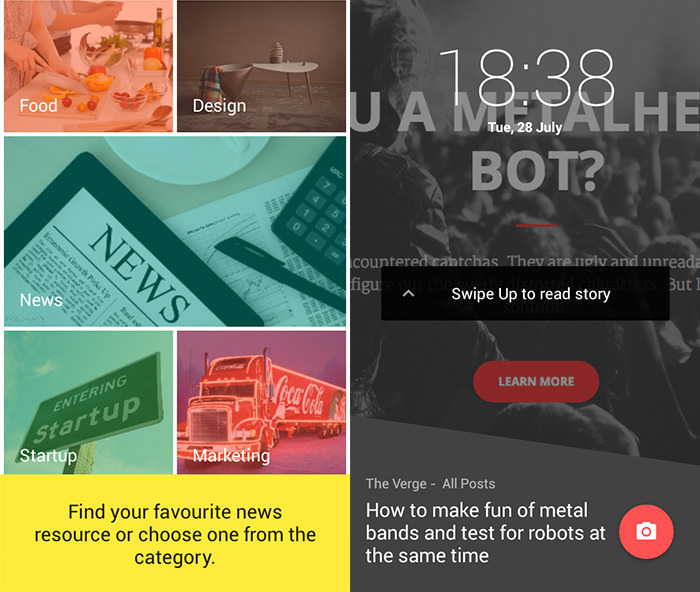 Corgi’s interface is quite straightforward – you swipe up when you want to read a story, swipe down to see the full list of current headlines, swipe left to proceed to other headlines, and swipe right to unlock your phone. Each story has a quick link button, so you can access it on the website in one click, if you want. This app is free. 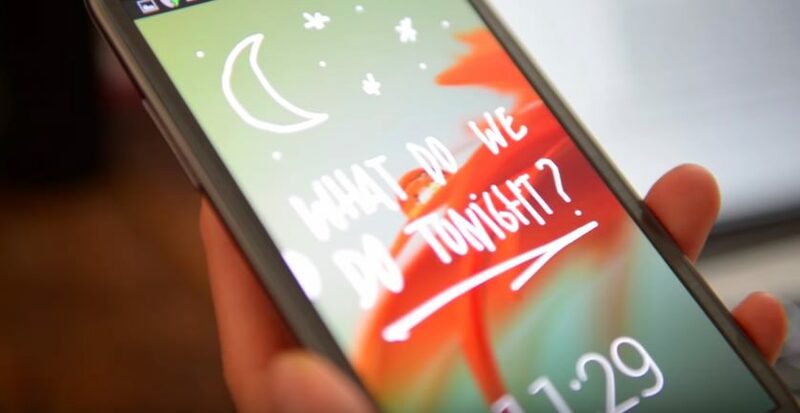 LokLok turns your lock screen into a whiteboard where you can create messages, photos and drawings and share them with your friends, family or beloved ones. Basically, it’s a visual communication app, that lives on your lock screen. LokLok allows to share your lock screen with another person or a whole group of people. When you change the background, draw or type something, the new image gets synchronized with other people’s devices, so the next time they look at the phone, they see an update from you. You can have up to 3 dialogs with different users on LokLok. 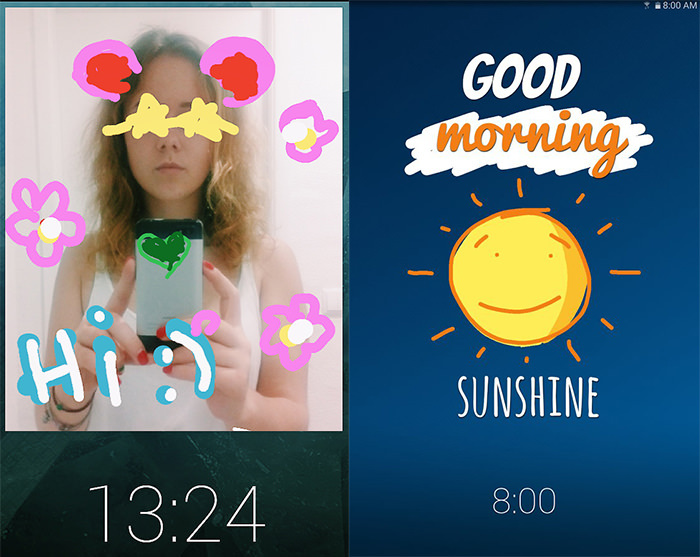 LokLok can also function as a widget, in which case you will be notified when someone edits a common image. However, when LokLok acts as a lock screen, you don’t get any bothering notifications about activities on a shared screen. 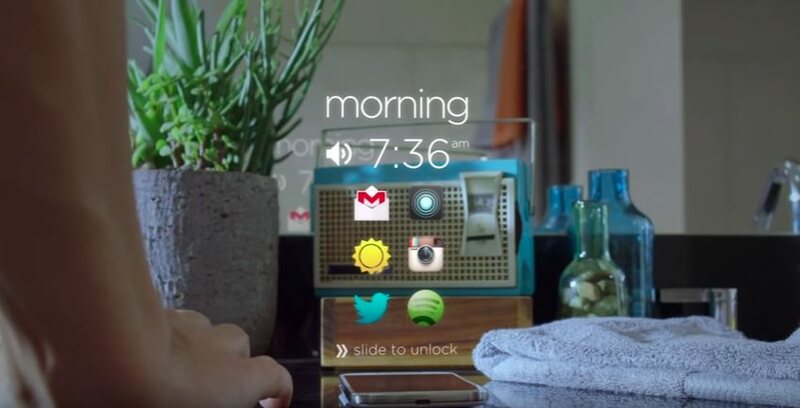 Unlike other apps in the list, LokLok turns your lock screen into a truly interactive space. LokLok is free and offers in-app purchases. Semper (former UnlockYourBrain) goes even further by turning your constant phone checking into a useful activity. Semper offers you the oppotunity to learn something new every time you open an app or unlock your phone. To start using the app, download a pack on a topic you want to learn – a foreign language, mathematics, preparation for your SATs , etc. 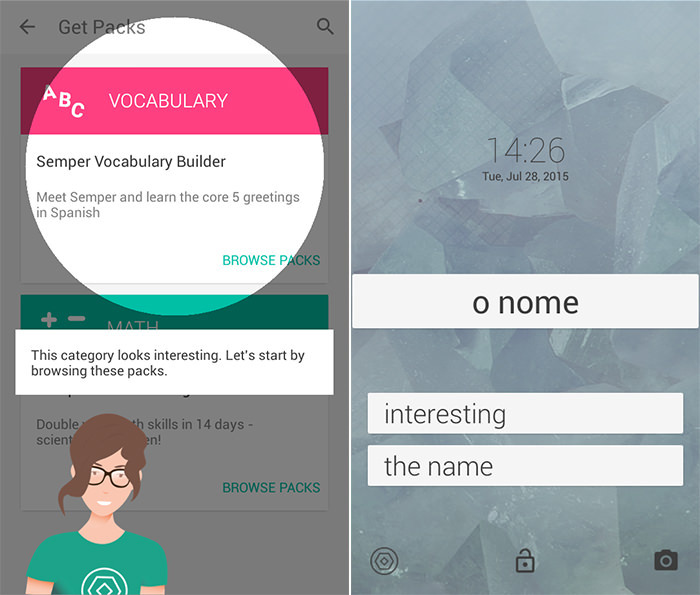 Once you have downloaded the pack, each time you unlock the phone or open a custom set of apps, Semper will hone your skills by making you, for example, translate a word in a foreign language or solve a small mathematical problem. 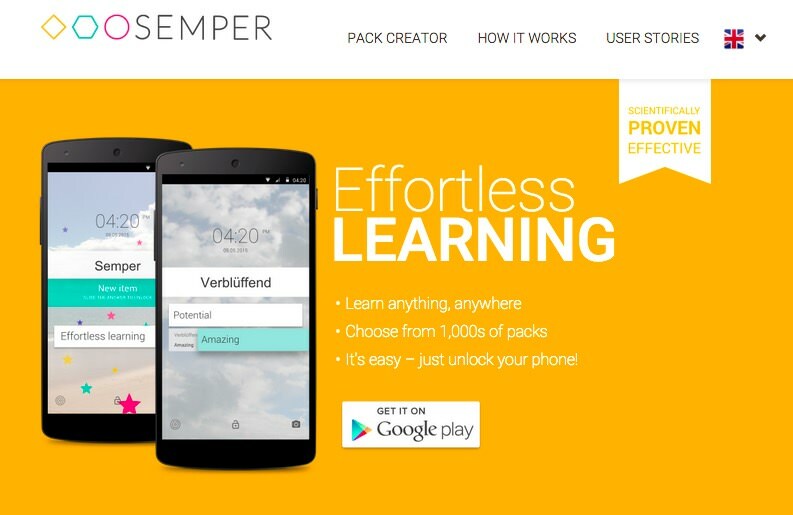 You can further customize Semper by choosing what you want to learn while at home and at work. For that you enter your home and work address, and the app will ask you the questions from the right learning pack based on your location. Semper is free and offers in-app purchases. 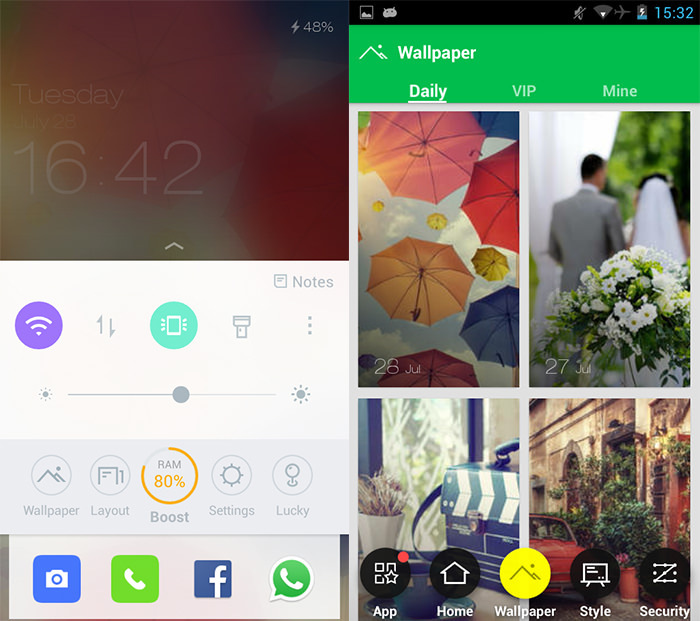 ZUI locker is a beautifully designed app, which practically allows you to build your lock screen by yourself. Upon installation you’re immediately taken to the Settings menu, where you will find a dozen features which you can use to build your lock screen in the way you want. ZUI Locker features a rich set of styles and wallpapers as well as elegant themes to choose from, so you can make a personalized lock screen of your own. The app supports all types of phone security protection (passwords, lock patterns), but of course you can customize even those by replacing digits with images of your choice. 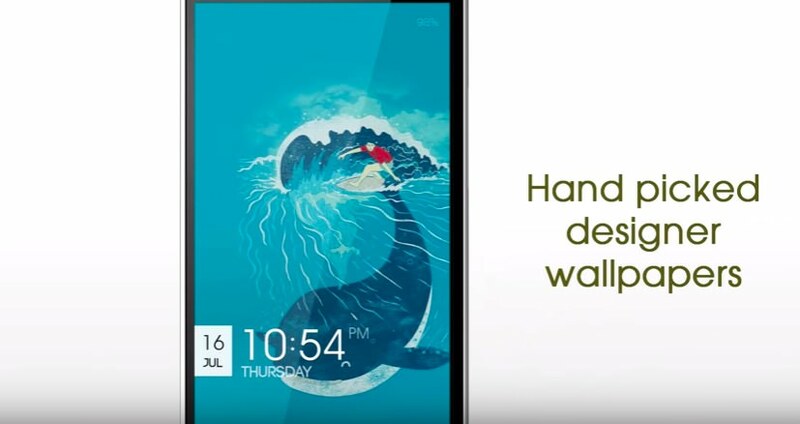 This highly rated lock screen app also comes with a smart lock and gravity sensor, a smarter notification feature, quick launch of most frequently used apps as well as music control, all right at the lock screen. ZUI Locker is free and offers in-app purchases. Editor’s note: This guest post is written for Hongkiat.com by Victoria Ivey. Victoria is a tech enthusiast and writer. Her latest passions are emerging technology, robotics and artificial intelligence. You can find her on LinkedIn.